Taking care of your home looks different from season to season. During the winter months your check list includes things that will keep your home safe from freezing temps, and in the Spring you are focused on what you can do to get your home ready for hot Summer days. 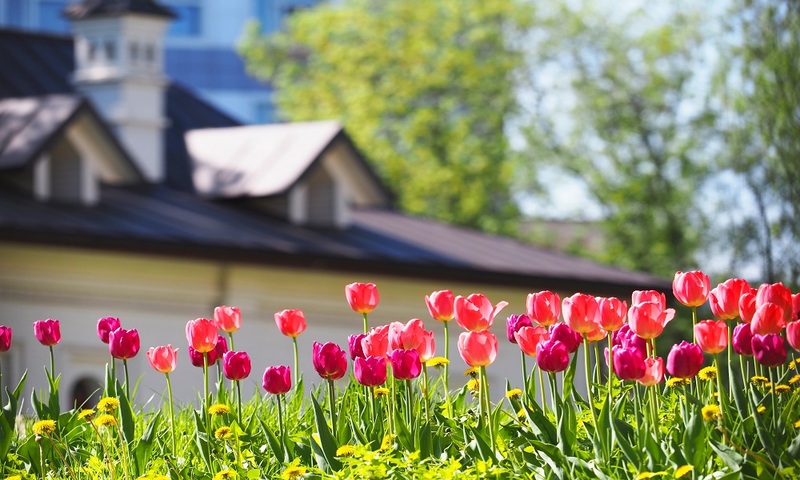 Here is a great check list that will help keep you on the right track when it comes to maintaining your home this Spring. Check the gutters. Now is a great time to clean all the leaves and debris from your gutters and making sure the downspouts drain away from your foundation. Check the faucets. Turn your outdoor faucets on and make sure there was no freeze damage from the winter months. Start preparing your yard for Spring. Make sure your lawn equipment is in working order. Now is a good time to take care of any weeds that you may have lingering in your yard as well. You will want to wait till May before you do any type of seeding. Service AC unit. Before you turn on your AC, you should always get your unit serviced. Clean your siding. That green film that has accumulated on the sides of your home needs to go. All you need is a hose, some soap, and a brush with a long handle. Change your air filters. Changes in seasons is a great reminder to change your filters. Declutter. They don’t call it Spring cleaning for nothing! A new season is a fresh start, so why not make it count with an organized home. Smoke detectors. Check the batteries in your smoke detectors and make sure they are working properly. Check Caulking. In the cooler months, the caulking around your windows might have shrunk or cracked. Make sure you remove the old caulk before applying new.